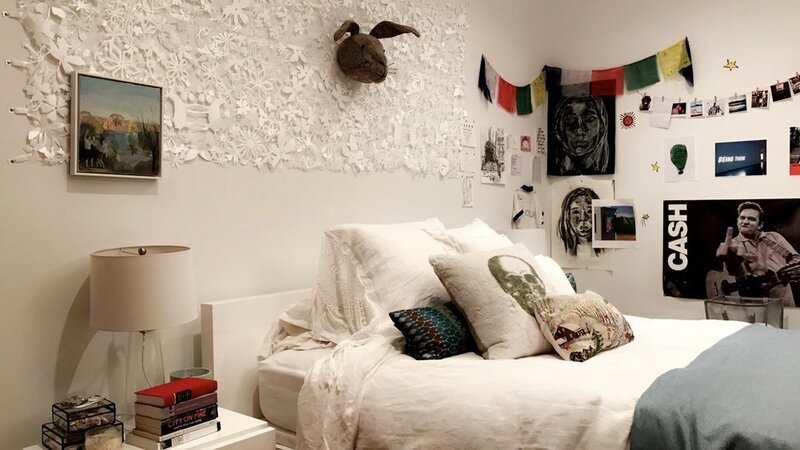 Wesleyan English major Charlotte Klein ’19 (and DTU ambassador) knows a thing or two (or six) about dorm decorating on the cheap. 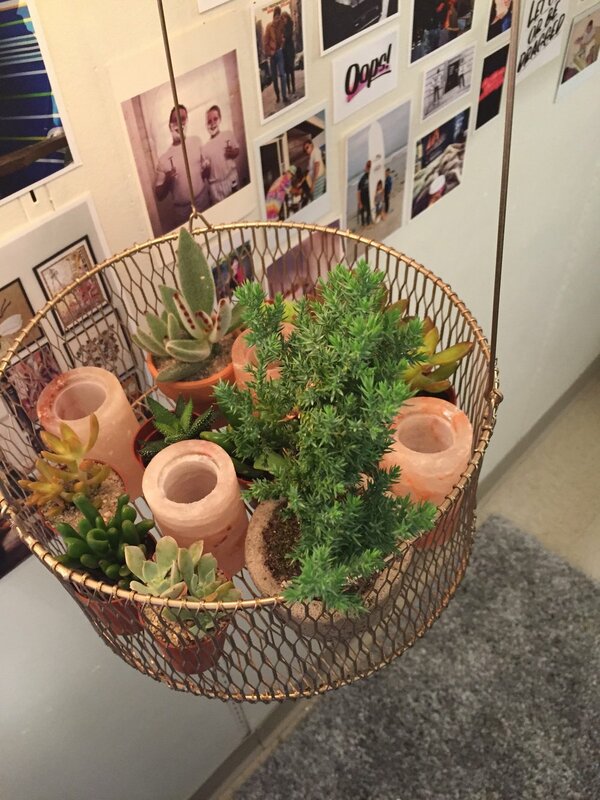 She stopped by the News @ Wes blog to share a few updated tips for stellar dorm room style. 1. Art stores offer a variety of fake flowers that make for awesome wall décor that are relatively inexpensive. This fall, I went to a Michael’s near where I live and bought an assortment of flowers. I used all different colors, but you could also pick them with a particular color scheme in mind. I think an all-green wall would look great, using the flowers that look most ‘forest’ like. Another idea is to do flowers in mostly autumnal colors: browns, oranges, reds. It took a decent amount of time to make the actual flower strands. My friends and I stayed up late one night using a mix of clear duct-tape and washi tape to attach the flowers together by the stems. I trimmed most of the flowers down from the long stems because I think using all of the flowers might be a little overkill. Once you trim down the flowers, you can attach them as you like and then finally attach it to the wall using Scotch wall fasteners or something similar. Above is my room in Butts C last year (and Darcy Neureiter ’19 helping me fasten them onto the wall way past her bedtime). 2. Another inexpensive idea is to take an old shirt that doesn’t fit you anymore or that you don’t wear and use it as wall art. I got this awesome sailor shirt at a vintage store when I was younger but felt too attached to it to give it away once I grew out of it. Instead, I used pins to hang it up among some other pictures/prayer flags and I love the way it looks. Plus, it’s an excuse to keep the shirt! 3. One of my friends bought an inexpensive towel from Nauset Beach, his favorite spot in Cape Cod that he grew up going to. Instead of just pinning it on the wall like a flag, he bought a canvas board and attached it to the board with a staple gun. This could work with any towel or even a patterned bed sheet. It’s a pretty inexpensive way to make a piece of wall art that looks really professional. 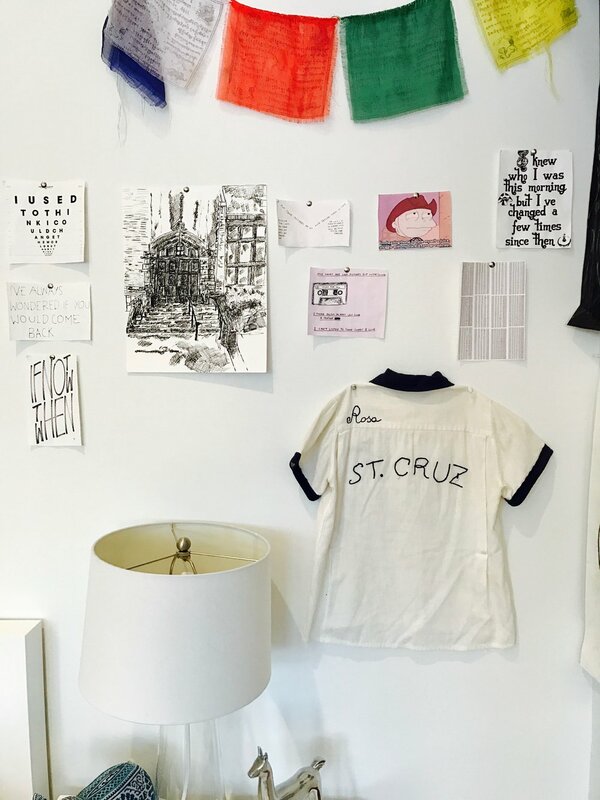 You could also use an oversized shirt on a smaller piece of canvas. 4. Use a book flap for instant wall-art. I did this on my wall using Shel Silverstein’s The Missing Piece Meets The Big O. You can even buy a cheap frame at an art store or Target to make it look nicer. 5. Hang up old license plates. Ask your friends or parents: usually there are some lying around. 6. Buy (or pot yourself) succulents. At Wesleyan, there’s a man who comes and sells them in front of Usdan relatively often in the fall and spring. I had a metal hanging basket in my room this year that I put them in, along with some salt-lined glasses/candleholders that I wasn’t using. It brightens up the room.